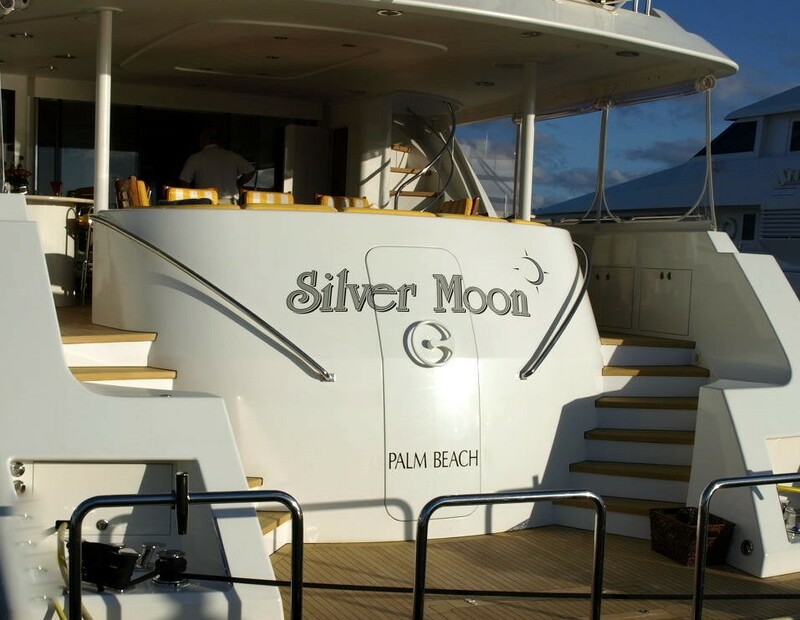 Motor yacht SILVER MOON was designed by Jack Sarin Naval Architects and built by Westport shipyard of the USA in 2004 and underwent an extensive refit in 2010. 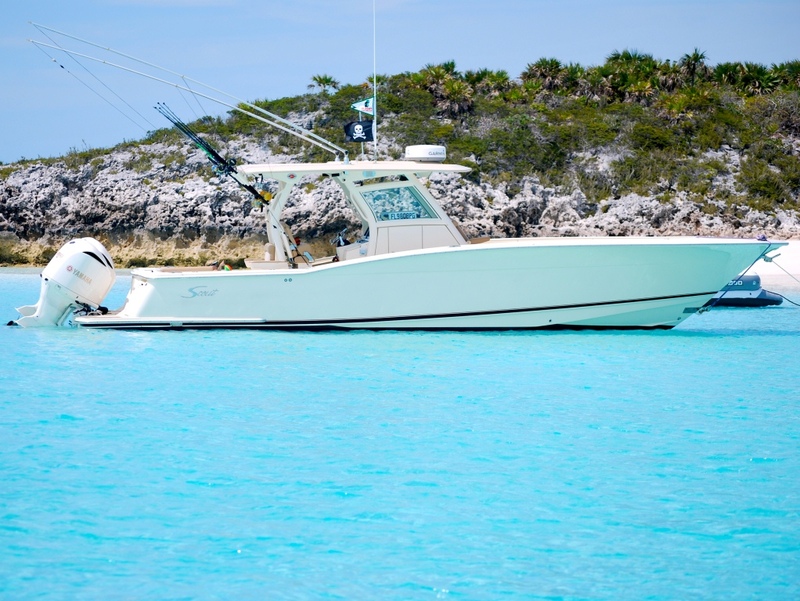 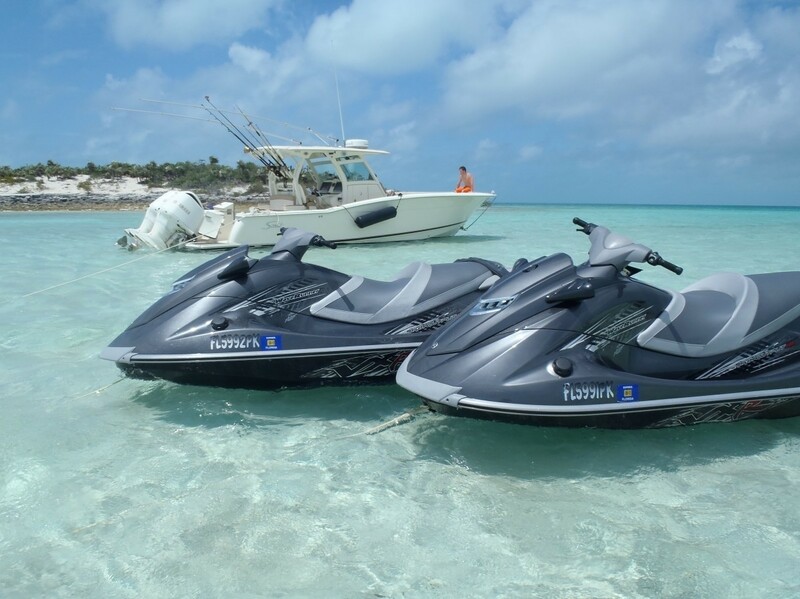 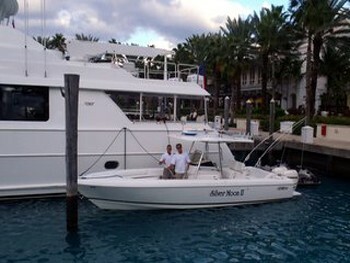 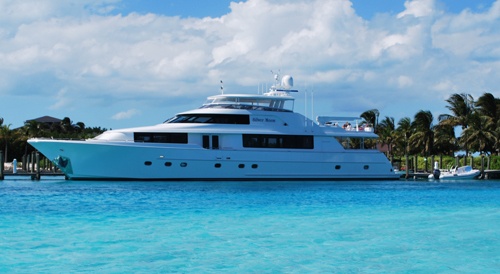 M/Y SILVER MOON measures 34.11m (112ft) and is available for charter for up to 8 guests in the Bahamas year round. 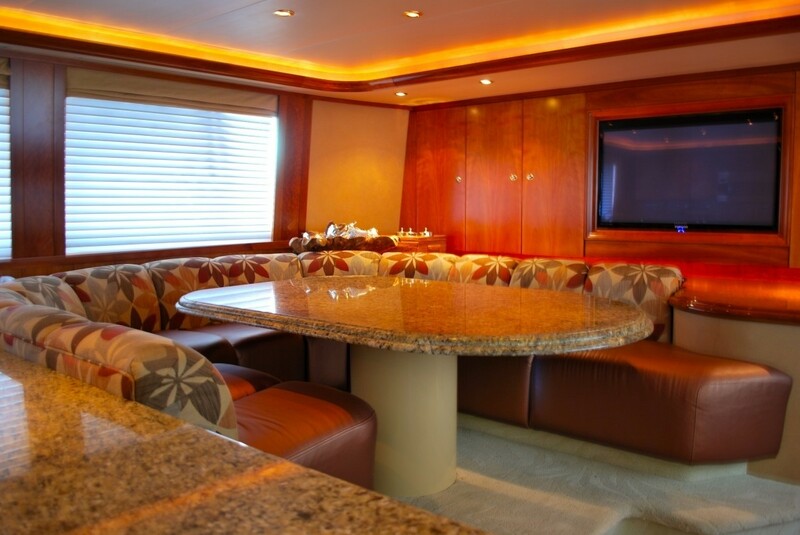 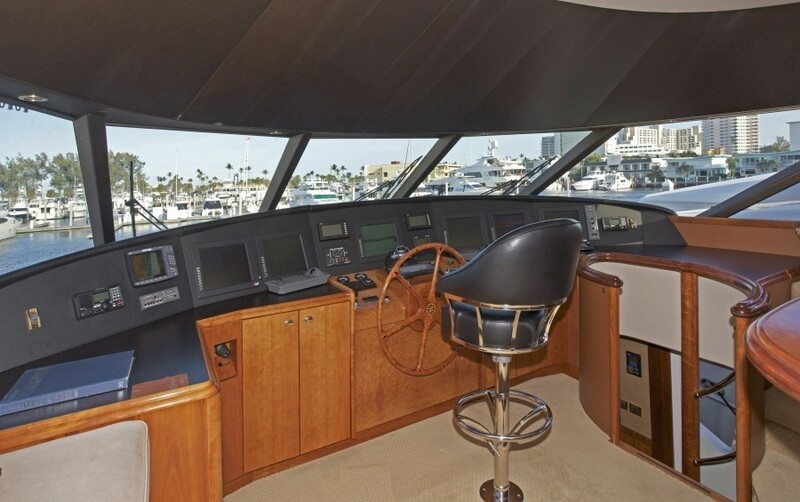 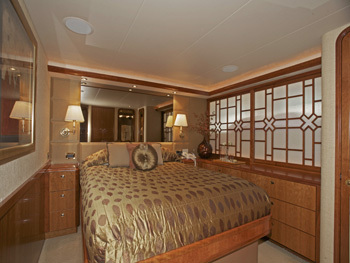 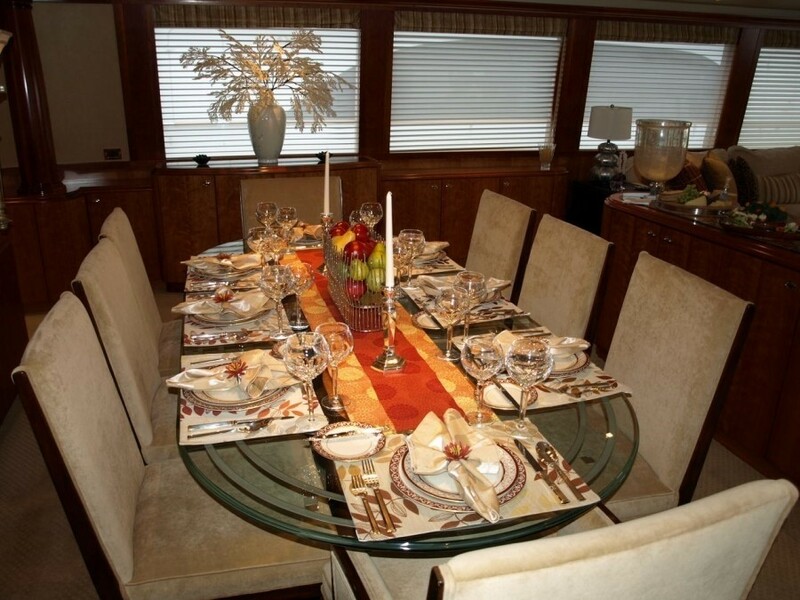 Charter yacht SILVER MOON has a contemporary warm interior. 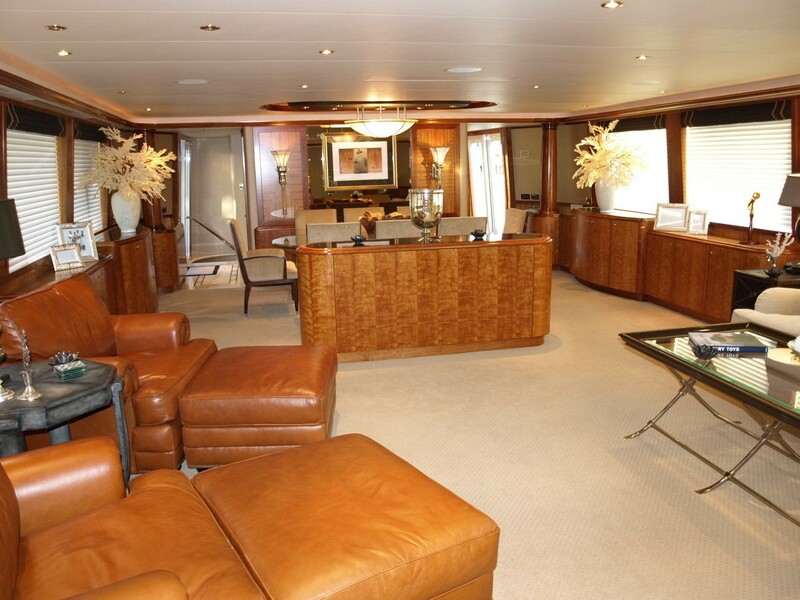 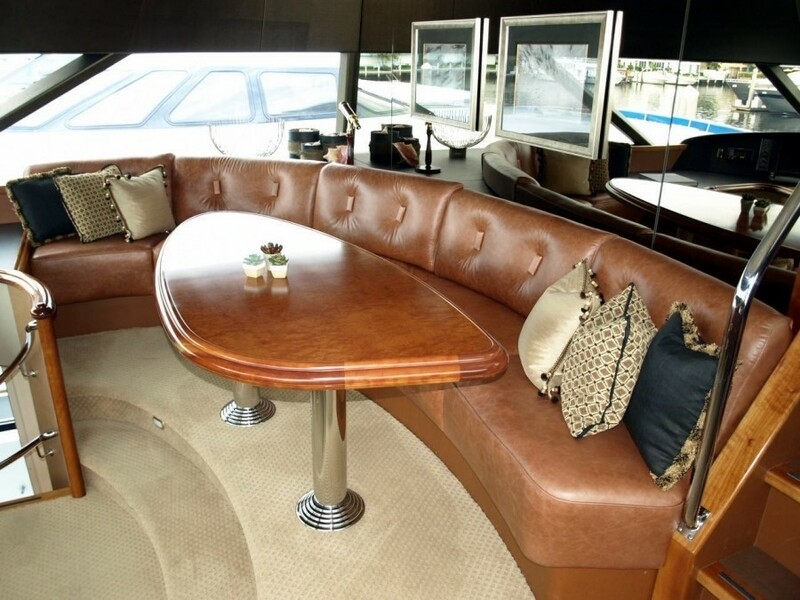 The salon and dining are an open plan, the relaxing lounge is aft and offers a plush sofa on the starboard side and 2 reclining leather chairs on the port. 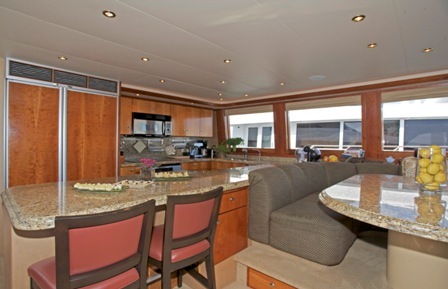 Cream carpets and ceilings enhance the warm wood panels, large panoramic windows allow ample natural in light creating a spacious yet cozy ambiance. 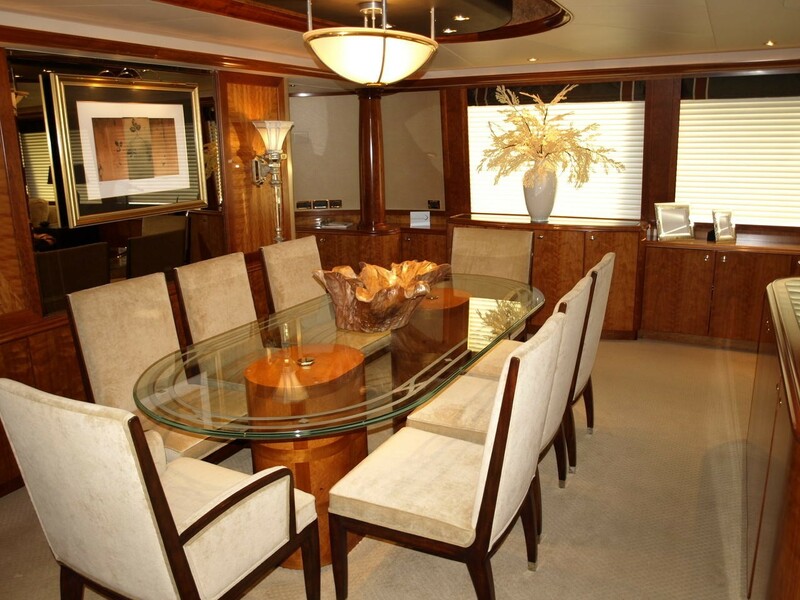 Forward of the lounge a sophisticated clear glass oval dining table is flanked by 8 high back suede chairs ideal for both formal and informal occasions. 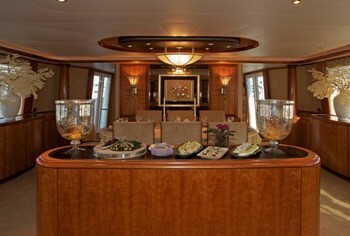 Guest accommodation aboard the M/Y SILVER MOON is accessed forward of the salon and dining below decks through a stylish foyer. 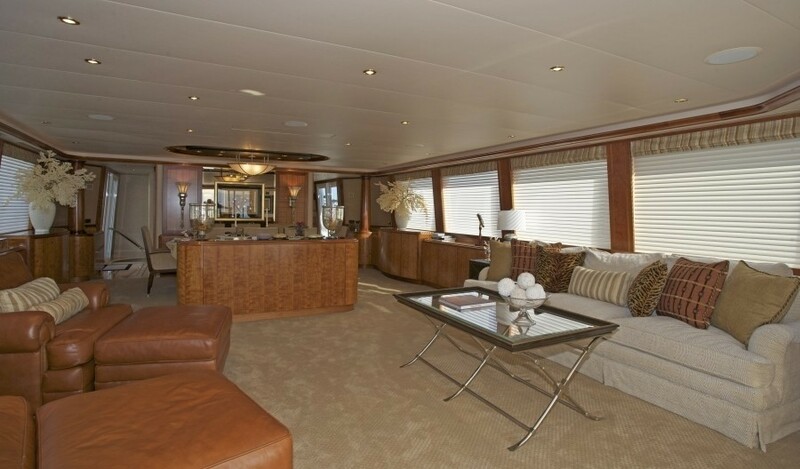 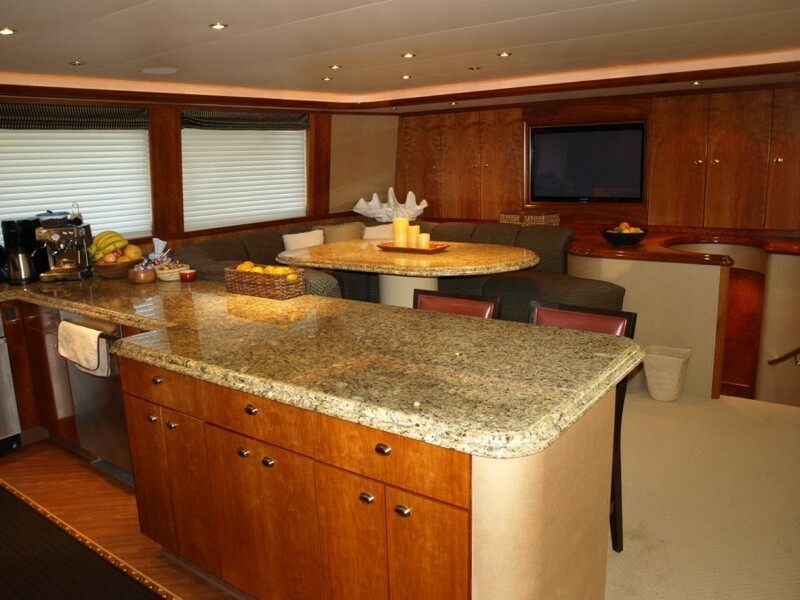 Motor yacht SILVER MOON has plenty of deck space to relax, soak up the sun and entertain. 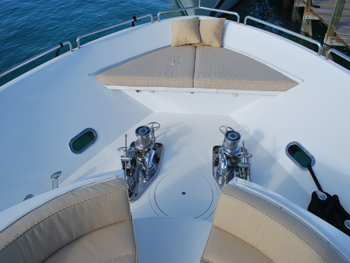 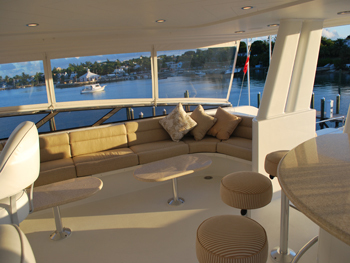 The aft deck is adjacent to the salon and offers an alfresco dining option, built in custom seating. 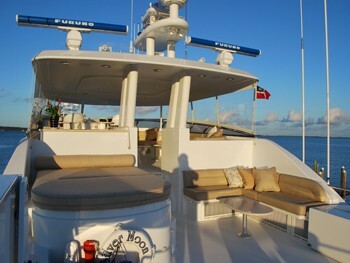 Dual stairways on port and starboard lead to the extended swim platform and water toys area. 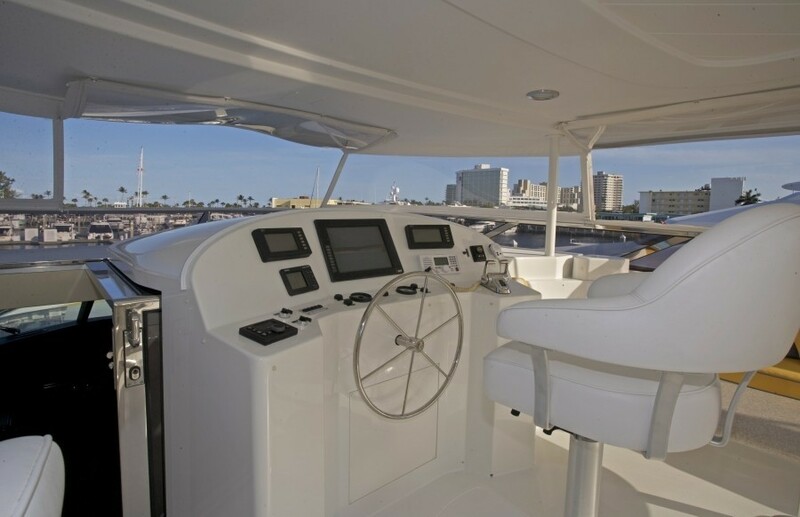 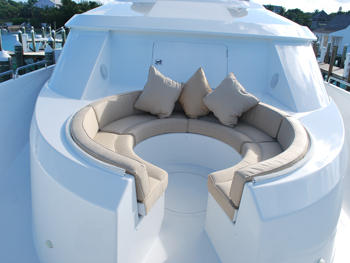 Side decks wrap around the yacht offering easy access to the foredeck and a unique built in circular seating area and sunpad. 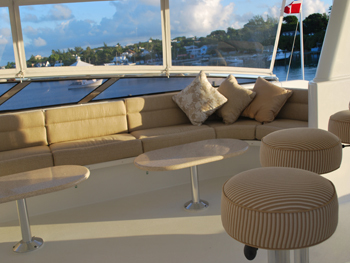 The Westport motor yacht SILVER MOON boasts a fabulous flybridge complete with seating, cocktail tables, wet bar, sunpad and Jacuuzi tub. 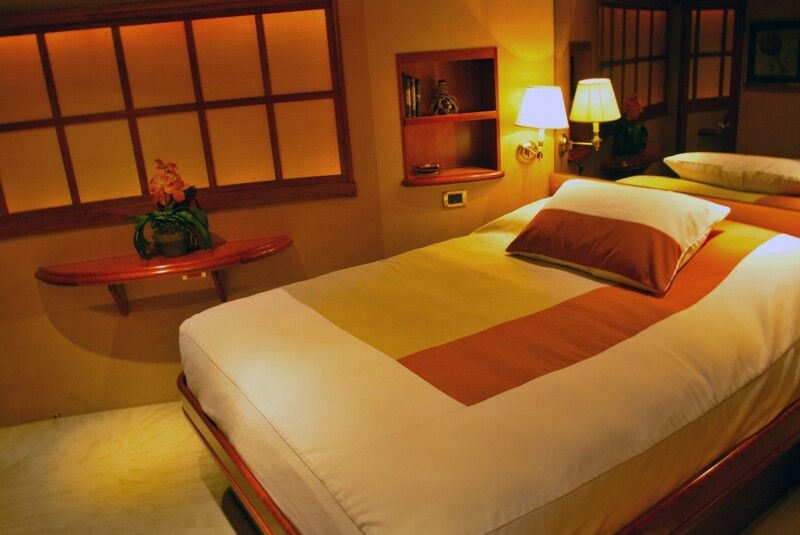 Optional soft clear windows ensure guests comfort no matter the weather. 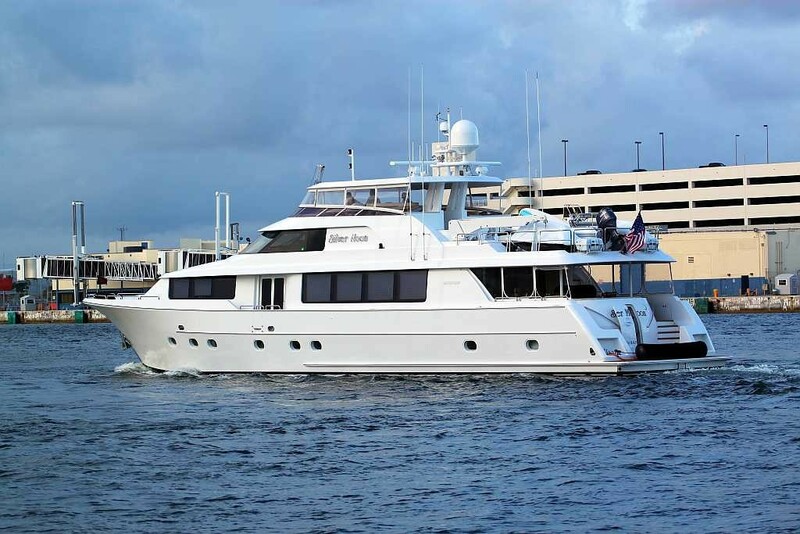 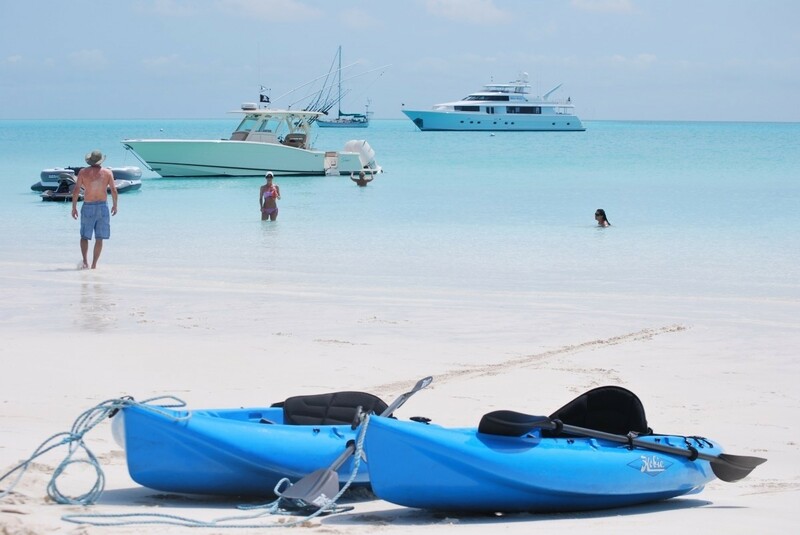 Charter yacht SILVER MOON has a beam of 7.3m (24ft) and a draft of 1.8m (6ft), cruising at 20 – 24 knots, the yacht is the ideal choice for a luxury Bahamas charter. 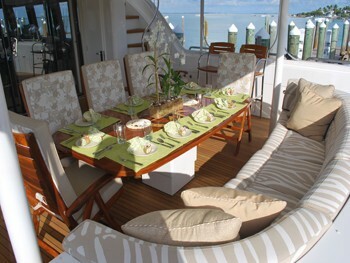 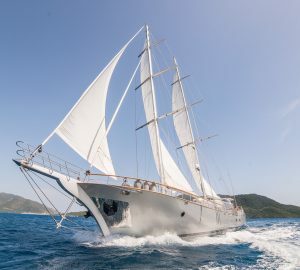 Luxury yacht SILVER MOON can accommodate 8 guests in 4 en-suite cabins on the lower deck. 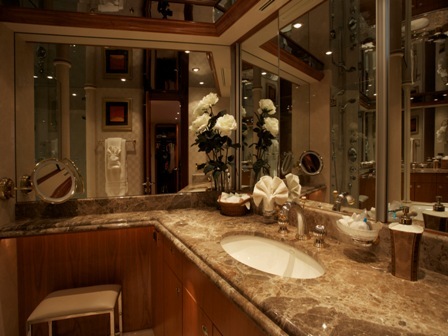 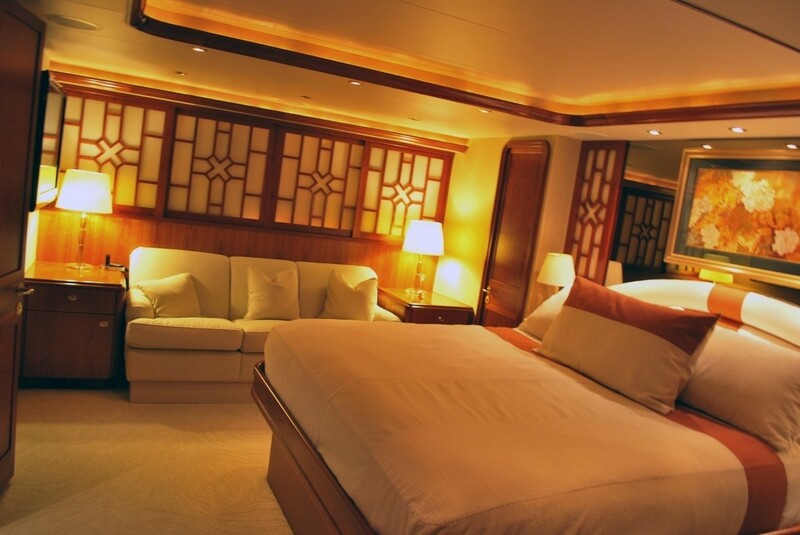 The master cabin is full beam of the yacht with a king size bed, vanity, sofa and deluxe en-suite with large shower, his and hers sinks and Spa Pool tub. 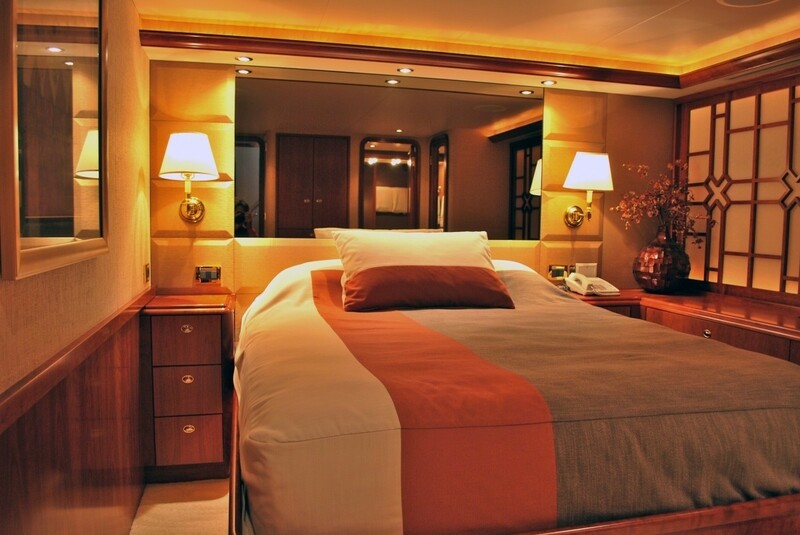 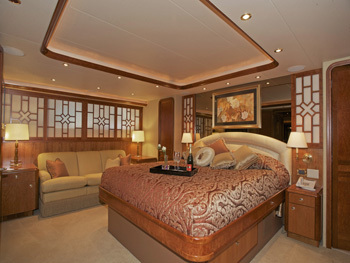 The VIP cabin is forward and full beam of the yacht with a queen size bed. 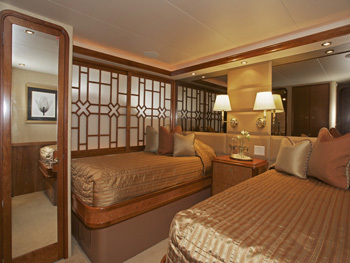 A double cabin on the port side features a queen size bed. 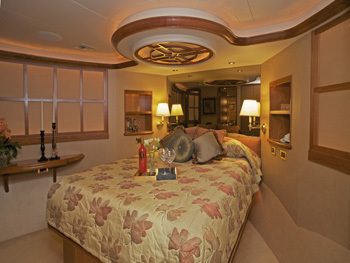 A further guest cabin offers 2 side by side single beds on the starboard side, this cabin can convert into a single king size bed if required. 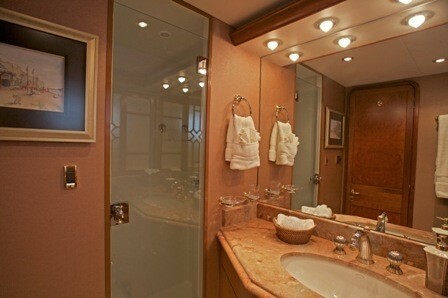 Each cabin has a warm contemporary vibe, offers fine cedar lined closets and features full audio and visual entertainment with SAT TV.